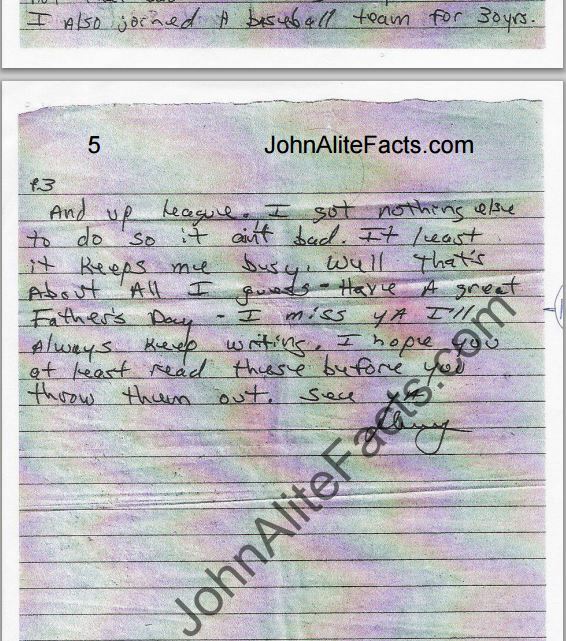 One of the craziest lies John Alite has told about John A. Gotti is that he saved a letter Alite wrote to him for fifteen years because Gotti was going to use it to “cooperate” against him. Which is a little out there. 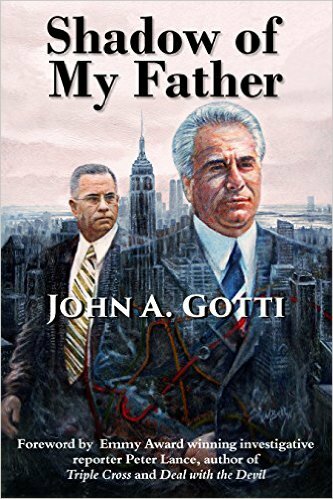 In my interviews with John A. Gotti he told me that he received “dozens of letters” from John Alite in the years after he chased him from the Gambino family and would have nothing to do with him. He said he would not see or speak to him in any way after he gave him the boot in November, 1991, so, Alite would send him letters, father’s day cards, birthday cards, etc. to get back in his good graces, but, Gotti would just throw them out. 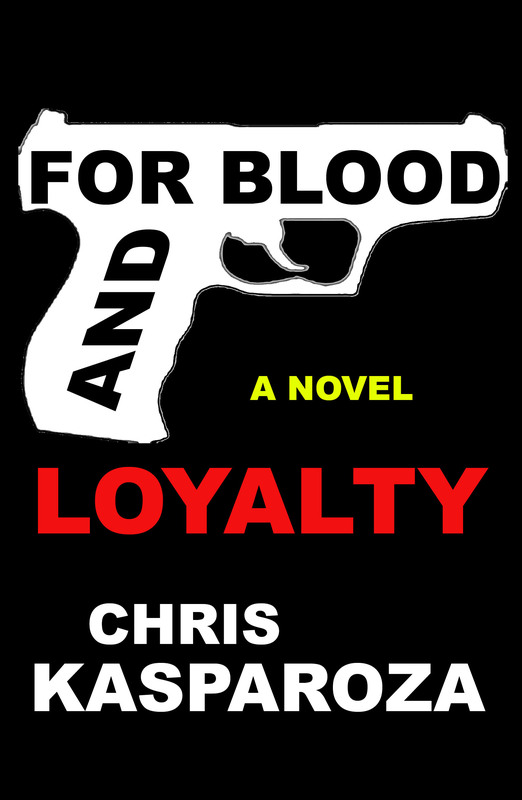 However, it happened that he saved the one in question (from 1993) by accident– he’d thrown it into a miscellaneous box filled with cards and letters from all kinds of people– and it was discovered years later not by Gotti, who had forgotten about it, but, by the Organized Crime Task Force in a dingy basement on 106th Street filled with thousands of files and documents, a makeshift warehouse of sorts when they raided it in February, 1997. Gotti said everything was moved there from his office which was several blocks away by his associate Michael McLaughlin who was in charge of it and then all the contents were seized by the OCTF which inventoried and photographed everything turning all the documents into official legal files before giving them back. Later on while Gotti was in jail his brother Peter went through the inventory list supplied by the OCTF and saw that there was a letter listed on there, signed by a “Johnny,” but he did not know what Johnny it was from. Knowing several of them Peter Gotti pulled it out and soon realized the letter was from John Alite, who, by that point, was believed to have been an FBI informant. The letter was then put aside in case it would be needed at a later date and good thing it was because the letter was a major help in exposing John Alite at trial. But, even if Gotti had saved it intentionally… in 1993… How is that planning to rat on Alite? Especially since John Alite testified against Gotti, not the opposite, and the letter does not even describe any of Alite’s criminal activity. If anything Gotti should have saved ALL of Alite’s correspondence just to protect himself against this cooperator for the future. But first, read the quote below from Jerry Capeci/Gang Land News that George Anastasia would have seen (along with the letter itself since it was entered into public evidence) before writing his book of lies especially since Anastasia is a longtime contributor who wrote an article for Gang Land News during the 2009 Gotti trial and even wrote an article for Gang Land today… and specifically, since in 2015 John Alite called Capeci one of “the best in the business” in an interview with John Ricciutti and referred to him as “the dean of organized crime, he understands everything in and out” during his speech at The Mob Museum. 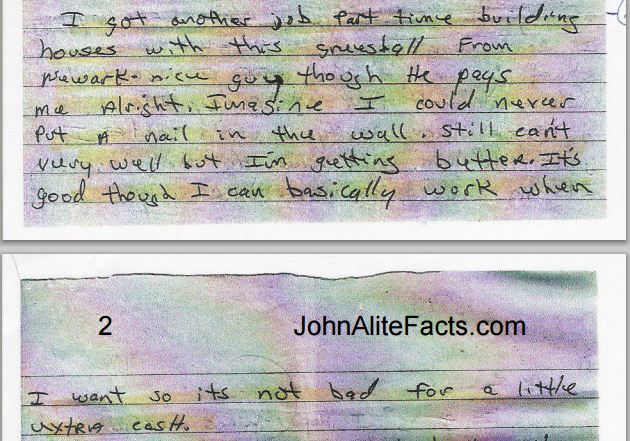 « John Alite: Lies about a Lawsuit.